The centerpieces are a decorative article very practical and useful, they serve to give life to the tables, but also to place inside, all snacks and goodies to share. In this picture you have a deep foundation, placed inside the treats, in the central part has to be one of the members of Monster High, surrounded by a few embellishments. 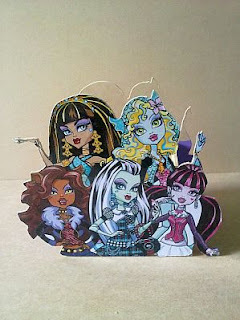 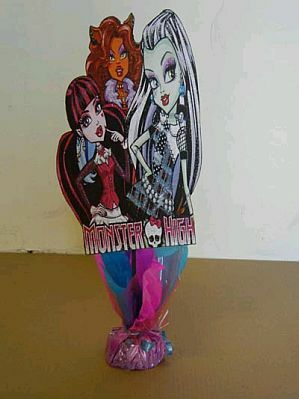 Another nice centerpiece with the image of some of the members of monster high and base, space to place sweets. 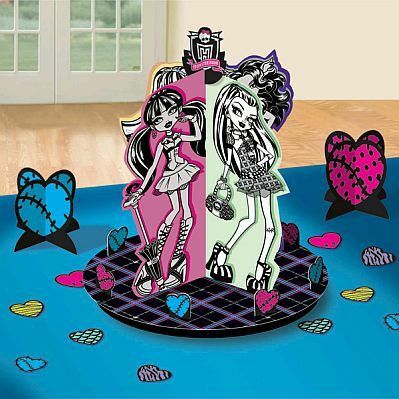 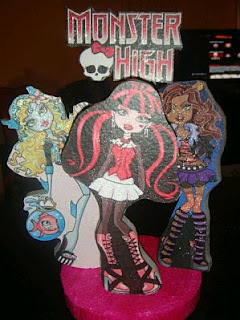 In another centerpiece, have several compartments, each with an integral monster high. And how about placing a lolillop in this centerpiece, the result is very good. 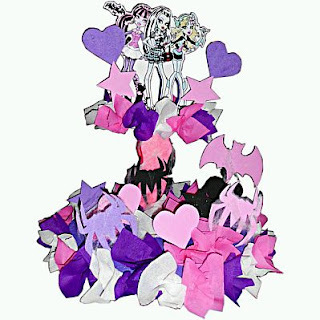 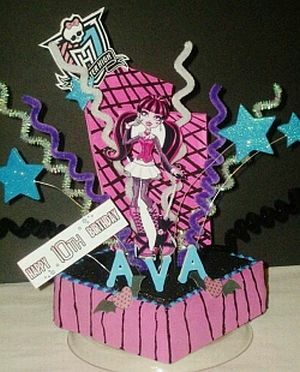 Here's a picture of a centerpiece of two levels, both decorated with stars and at the top, the image of one of the monster high. 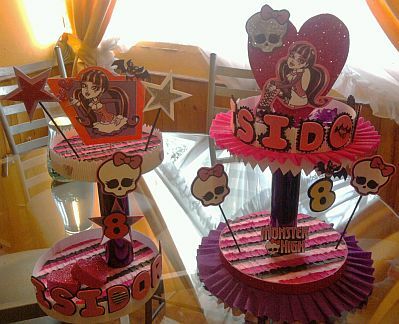 In this other image you have the centerpiece before and next, with some variations. Interesting centerpiece, beautifully decorated with stars, insects and hearts, at the top you have some of the monster high. This is a napkin with the image of the most famous monster high. 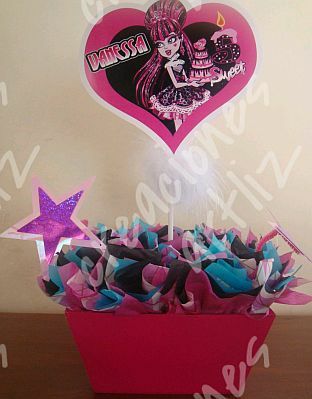 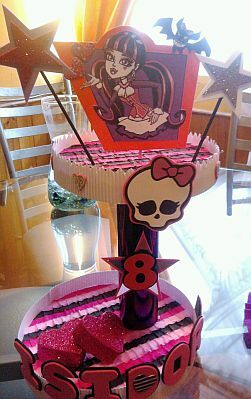 This centerpiece has a base with colored paper and at the top, a monster high with a birthday cake. 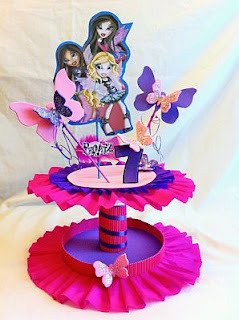 Beautiful and colorful centerpiece of two levels, the lower one has a base to place the candy and at the top, the monster high and some butterflies.